Teddy Riley had a dream in the late '80s, "of putting Michael Jackson and James Brown together, or Michael and Prince, or Marvin Gaye and Luther Vandross and mixing that sh-up." It was a mash-up genre called New Jack Swing. Springing from gospel, rap, smooth jazz, funk, Motown and hip-hop, it was an evolution that erased musical lines. Bobby Brown, Bel Biv Devoe and most notably Jackson's Dangerous were standard bearers. New Jack Swing influenced the boy bands and is echoed today by Bruno Mars and The Weeknd. In this session, legendary producer and hit-maker Riley, and Andre Harrell, founder of Uptown Records and Vice Chair of REVOLT Media & TV tell the story of a groove that captured the culture. Grammy/Multi-Platinum Music Producer/Composer/Arranger/Songwriter/Recording Artist and Music Scientist Teddy Riley has one of the most intriguing and solid legacies in the music industry for a bit over 30 years. Since age five, he was a multi-instrumentalist child prodigy playing at church in his hometown of Harlem, NY. He formed a music group called "Kids at Work" in his early teens, composed and produced must have tracks and compilation albums for numerous rappers and several for recording artists including the human beat box icon Doug E Fresh. By age 17, his first 12" Single production made the Billboard 100 hit list "Go See the Doctor" by Kool Mo Dee in 1986 and shortly thereafter another major Billboard hit titled "Wild Wild West." Andre Harrell serves as Vice Chairman of REVOLT Media & TV, a post he assumed in 2014 after being appointed by REVOLT Chairman Sean Combs. An entertainment powerhouse with credentials spanning film, television, music and branding, Harrell has helped influence and create urban and Millennial culture around the world. 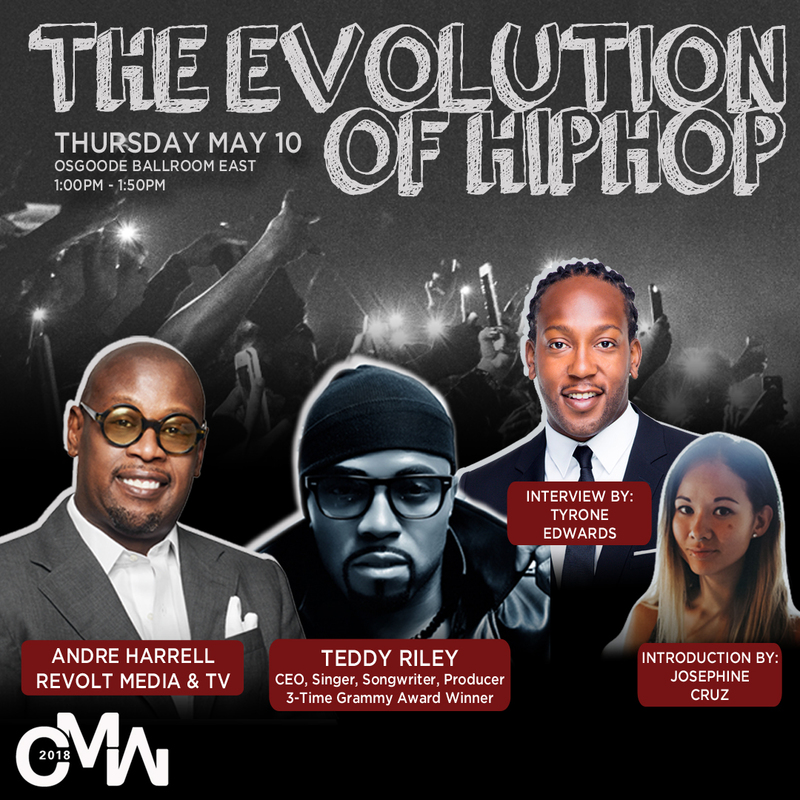 In this role, Harrell oversees the REVOLT Music Conference (RMC), now in its fourth year, which welcomes 70+ speakers and hosted 800 attendees during October in Miami Beach, FL. 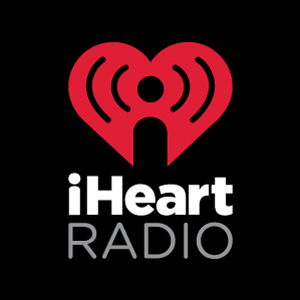 In his role, Harrell also creates new opportunities for REVOLT with technology companies, brands, and the music industry, as well as helps reinforce the network's position as the #1 name in music, largely focusing on business development, music television specials, and strategic partnerships. As a host on E! and Much, Tyrone brings his unique personality, pop culture knowledge, and fluid MC abilities to viewers across the country. Having grown up in Toronto's west end, Tyrone has always been driven by passion and all things entertainment. During highschool, Tyrone travelled to the U.S. to play basketball at Randallstown High School in Baltimore, MD. From there, a scholarship presented him with the opportunity to attend Hillsdale College in Michigan where he played NCAA basketball while studying Business and Speech. Even though Tyrone had accomplished so much as an athlete, his heart was always rooted in Toronto. In 2005, he returned to the city he loves and ultimately joined Much in 2011. Josephine Cruz aka Jayemkayem is a writer, DJ, music curator and brand consultant currently based in Toronto. She has been writing about music and culture for over seven years, with work appearing in HYPEBEAST, Vice, Complex and more. She has a particular interest in community building through music, and a longtime fascination with independent broadcasting and the pirate radio culture of the U.K. She is the cofounder of Toronto's first pop-up radio station, Istolethesoul FM. ery) is Canada's most established music industry conference. Now in its 36th year, it is recognized as one of the premier entertainment events in North America focusing on the business of music. 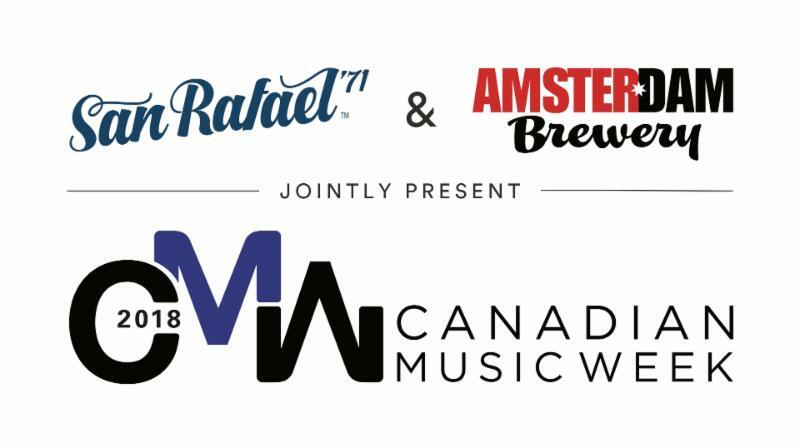 CMW brings together Sound Recording, New Media and Broadcast for one spectacular week of events - combining informative, intensive conferences, a cutting-edge trade exhibition, award shows, film festival, comedy festival and Canada's biggest New Music Festival. All convention functions take place at the CMW's host hotel, Sheraton Centre Toronto Hotel (123 Queen Street West, Toronto M5H 2M9).